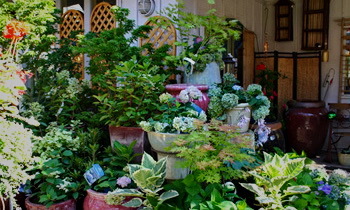 We are open on our normal schedule for those who want to get a head start on gardening. With the extreme weather we have been experiencing and more in the forecast, we will decide daily our operation hours. We will post the hours on Facebook. We apologize for the inconvenience and hope this disruption is short-term. 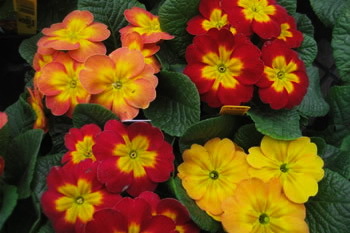 This could be a good week to start seeds indoors. We have everything you need. Most of our seeds are in. Fruits and berries are arriving now. Click here for a list of fruit trees we are expecting and here for the list of berries. Call ahead to find out current availability. 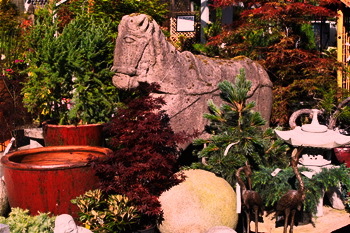 ...a family-owned garden center located on a historic site on beautiful Bainbridge Island. 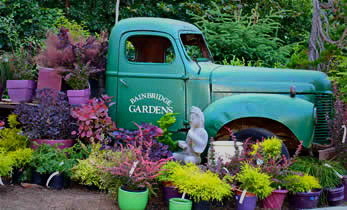 Our six-acre nursery is well-stocked with large trees, native plants, unusual varieties of shrubs, bonsai, seasonal color, pots and garden art. An on-site cafe open for espresso and lunch, children's play area, plenty of parking and an extensive gift shop make Bainbridge Gardens a popular spot for Islanders and out-of-town guests. Find out about our discount program, see what is on sale and print some valuable coupons. Well, you have to have a baby first. Click for more details on the Reforest America program. December 25 & 31, January 1.